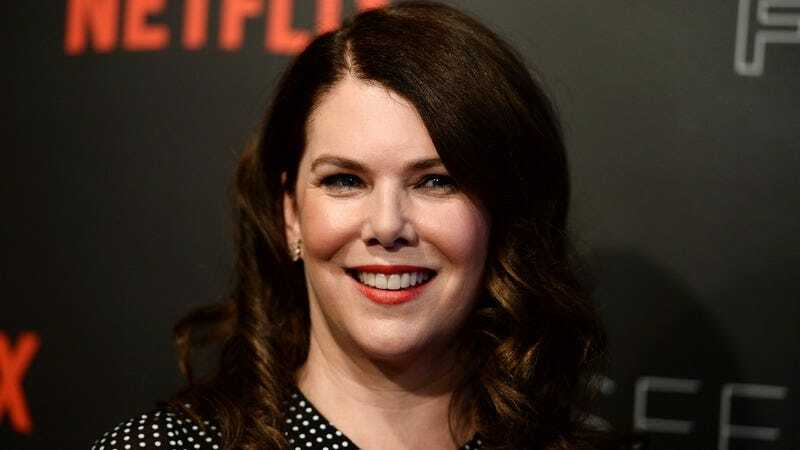 While Lauren Graham has talked a lot during her time on television—she was Lorelai Gimore, after all—her dialogue has, for the most part, been clean. But that will not be the case when she appears on the upcoming season of Curb Your Enthusiasm. Graham tells TVLine that her still mysterious character, who apparently shares most of her scenes with Larry David himself, is “someone who has very colorful language.” This presumably means she’ll curse him out at some point. “It was the perfect answer to ‘What do I do now? !’ because this character is completely not me at all,” she explained, referencing the fact that she went straight from the Stars Hollow of the Gilmore Girls revival to the world of Curb. “I speak in a way that I don’t speak ever.” She also added that Ted Danson—who is indeed returning—offered some guidance on forgetting about network television’s regulations. ”[He] was like, ‘This is cable. You can really [let loose]. Think of the craziest thing possible,’” she said. “And my brain so doesn’t work that way.” There is no precise premiere date for Curb yet, but it’s expected sometime in the fall.